WAPO: Special counsel Robert S. Mueller III’s office on Friday denied an explosive report by BuzzFeed News that his investigators had gathered evidence showing President Trump directed his former lawyer, Michael Cohen, to lie to Congress about a prospective business deal in Moscow. You’d think the drones would learn by now. As soon as the “explosive” report landed Democrats talked impeachment, the establishment media splashed it and the left-liberal masses celebrated like their hair was on fire. The warning flags were there. Buzzfeed, which has a less than stellar reputation, ran a story which was anonymously sourced and lacked any evidence. This alone is a warning not to take it as read. But Buzzfeed knows its target audience. So many links were clicked and the hit rates raised, and that was probably the point of it all along. I don’t think BuzzFeed is necessarily biased in one political direction or the other. It just posts a hell of a large amount of crap. Yes but I think Pete is saying only the crap about the Libs/left/Dems. should be believed. A case of a pot a kettle and the adjective black here. Looking at BuzzFeed in an unbiased light, you can see that what it’s actually after, are views. The more hits BuzzFeed can get, the more money it can make on advertising. The Daily Mail online is sort of heading the same way. Is becoming less politically biased towards the right, I’m just posting any old nonsense, knowing that, that will get the most views. Why is this worthy of a separate post? I don’t read Buzzfeed, don’t regard it as a major outlet. It’s just the sort of new media that you fake news lovers tend to celebrate. The article cited in the post complaining about the legacy media…is from the legacy media. Because the establishment media jumped all over it. And it’s a timely reminder that anonymously-sourced stories without corroborating evidence should be taken with a pinch of salt. A decent editor wouldn’t allow such a thing to be published, and that goes for all media, whether left, centrist or moderate. Perry White Pete cares.about the truth now? No angry posts when the Fakers here post pure nonsense, or when his president lies, which is every day? May didn’t even let the Cabinet see the deal before she announced it. Merkel saw the deal before the Cabinet! The passive form and hearsay? Would you like a discussion, or are you stuck on shitposting all night? When you put up an American based post that isn’t just another cheerleader for Trump puff piece then you can ask for a serious discussion. What are you talking about, an American based post? 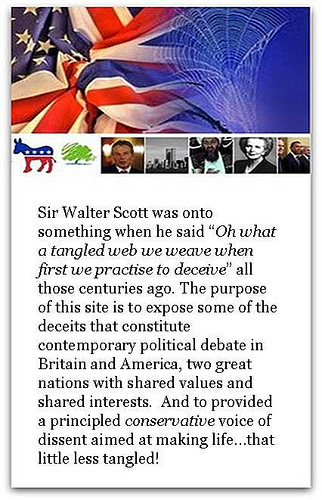 The pursuit of truth, honesty and fair play is as British as a Sunday roast. You must not be British.